The battle ground for my second mission on the Catalunya Challenge was in Sant Carles de la Rapita bay and in the kitchen of Albert Guzman's restaurant. First Iniesta from Natura & Aventura took me to the Mussel bank in a kayak where I found myself some fresh mussels at the Musclarium. The locals come here by boat after work to have some fresh sea food with wine and cava. How cool is that! From there we went direction Albert Guzman restaurant where I received a warm welcome from the chef and his entire team. 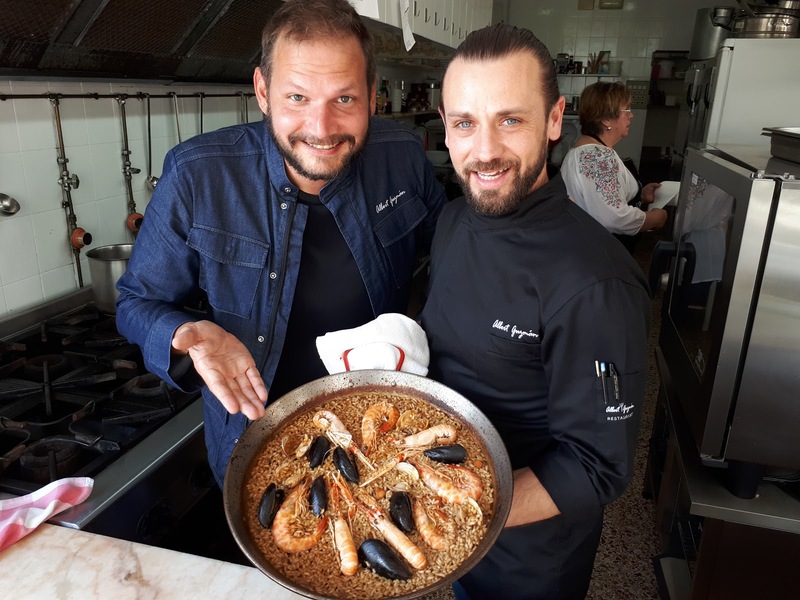 Such a wonderful afternoon and I was very honored to be introduced into the art of the 'Arros tipic Mariner' paella making by Albert, a very cool and talented chef.